Blacked-out versions of the popular crossovers are now available. An unnamed Grand Cherokee Concept debuted at the Houston Auto Show in Texas a couple of months back, when Jeep gave their fans the chance to name it as part of its &apos;Name My Ride&apos; contest. Well, the fanatics have spoken, and the handle chosen for the production version of the murdered out production-intent Grand Cherokee Concept is &apos;Altitude.&apos; Jeep claim the Facebook competition was so successful they decided to add the same &apos;Altitude&apos; package to the product catalogue for the Compass and Patriot. "The fact that well over 100,000 consumers entered our &apos;Name My Ride&apos; contest reinforces the passion behind the Jeep brand, and its position as one of the most recognizable and popular brands in the world," said Mike Manley, President and CEO - Jeep Brand, Chrysler Group LLC. "The extraordinary response to both the concept and the contest resulted in an easy decision to produce &apos;blacked-out&apos; editions of the Grand Cherokee - and the Compass and Patriot. 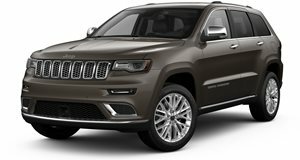 These new Jeep Altitude editions will clearly have a broad appeal among consumers, especially those looking for something distinctive, edgy, and just plain cool." The common theme is a blacked-out interior and exterior, which for the Grand Cherokee includes a black gross grille, mesh grille in platinum chrome, a platinum chrome lower bumper add-on, black headlight bezels, a black liftgate bar and 20-inch black-gloss alloys. Standard interior features include leather-trimmed heated front seats, a leather-wrapped steering wheel and shifter, rear backup camera, and a 9-speaker audio system with iPod/MP3 connectivity. 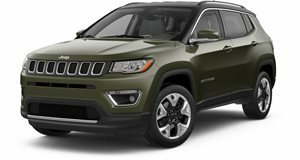 Jeep also offers the car in non-black colors of Deep Cherry Red, Mineral Gray, Stone White, Bright Silver Metallic and Maximum Steel Metallic. Prices start at $35,595 for the two-wheel drive models and $37,595 for AWD variants. For the Compass Altitude, which features a black gloss grille, roof rails, headlamp bezels, back step pad and 18-inch black-gloss alloys, buyers can choose three exterior colors of Black, Deep Cherry Red and Mineral Grey. 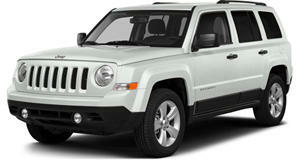 Prices for the 4x2 models start from $22,190 and $23,940 for the 4x4 versions. Finally, the Patriot Altitude boasts a bright chrome lower fascia and rear step pad appliques, bright polished steel roof rails and 17-inch high-gloss black alloys. Prices start from $20,240 for the 4x2 and $23,275 for the AWD models, available in Deep Cherry Red, Black, Mineral Grey and Bright White.